An initiative targeted towards transforming mindsets, We Care represents EEMA’s commitment towards creating a safe work environment for female employees in the media, events and entertainment industry. As a We Care certified EEMA member, agencies who sign up to the initiative earn a ‘pink star’ to symbolize their endorsement of the cause. Currently the association has registered sixty We Care compliant agencies. On 9 September, before formal sessions of #EEMAGINE2017 begin, a 15 minute warm up session of Zumba will take place at 7am at Hotel Pullman Aerocity, New Delhi. 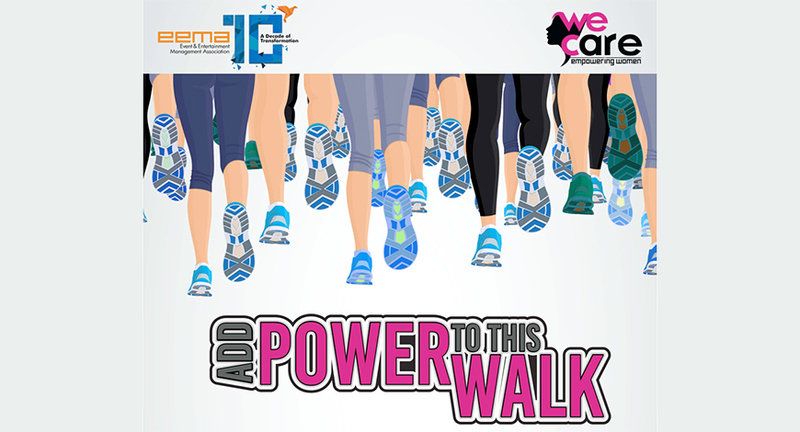 After which the leadership of EEMA will lead the way for close to 200 people for the ‘We Care Walk’ for 3.5 Kms around Aerocity. Everyone related to the event industry is invited to participate.